Wow. A separate “fining and suspensions committee.” We cannot get owners to serve on the board much less a fining committee. I did see an article a few months ago that asked if these committees can be anonymous. Enough said. I just do not see this process working in California. I, for one, would not serve on the fining and suspensions committee just to hold a hearing to approve or not approve the fine levied by the Board. In California, the Board does it all. 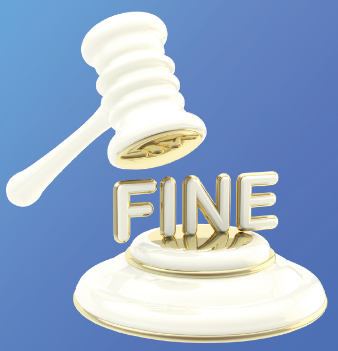 It notices and holds the hearing and then levies the fine. In the old days before our legislature clarified things, many associations did it like cities do when issuing parking tickets, for example. The fine was levied, and the person cited could seek a hearing. In California, our Civil Code Section 5855 requires that before the board decides on a fine or penalty, it must first give the owners notice and a hearing. As in California, Florida condominium and cooperative associations can only file a lawsuit seeking a money judgment in order to collect unpaid fines. But interestingly, Florida treats planned developments differently. (Note that Florida’s definition of a “homeowners’ association” is limited to what we in California refer to as a “planned development”.) According to Rembaum, homeowners’ associations can also similarly seek a money judgment – if the homeowners’ association’s CC&Rs provide for fines exceeding a total of $1,000.00 and also allow a fine to become a lien, then the homeowners’ association may use the foreclosure process to collect an unpaid fine. We do not have this power in California. In Florida, “fines apply to the owner and, if applicable, to any tenant, licensee or invitee of the owner. Use right suspensions apply to the property’s occupant, licensee or invitee, which includes tenants.” And, as in California, the terms of the association’s CC&Rs likely provide that the owner is ultimately responsible for the acts of their tenants, guests and invitees. As I said in the introduction, the laws regulating community associations are not the same across the country.